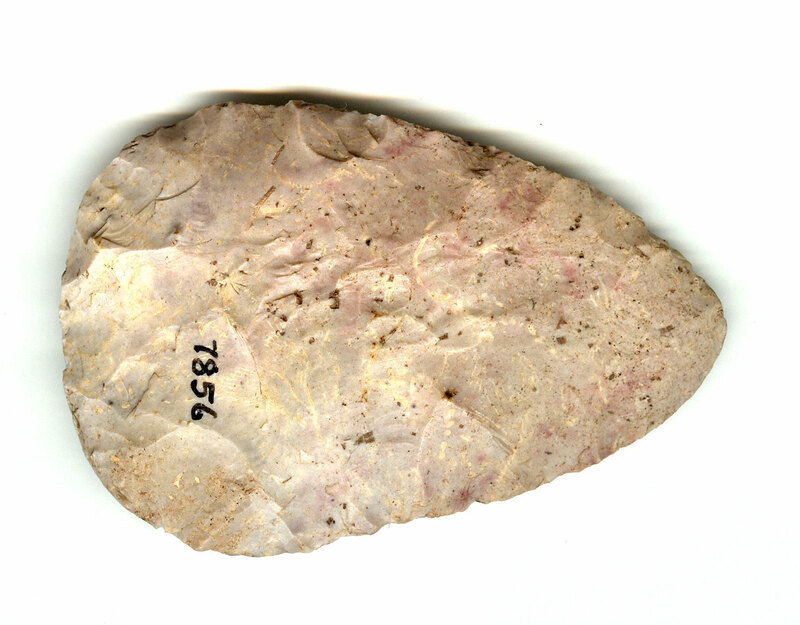 A Medium Size, Thin, Colorful, Well Made, North Blade That Exhibits Surface Aging Coloration And Stone Sheen Patination, Aged Soil Deposits, Correct Slight Blade Sharpening Reduction, Aged Mineral Deposits, Correct Percussion Style Of Blade Flaking, Correct Overall Shape And Form, Correct Type Material And Manufacture For The Area Found. Ex-Dennis Smith Collection. The North Blades Are Often Found In Caches, Considered To Be The Snyders Preform Of The Hopewell Culture! Includes A Ken Partain Certificate of Authenticity!